Mr. Comey served as director of the FBI from 2013 to 2017, appointed to the post by President Barack Obama. 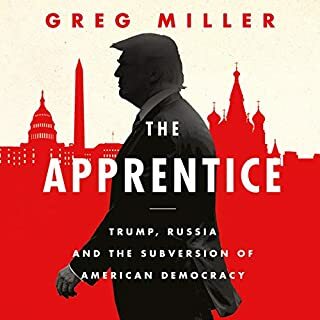 He previously served as US attorney for the Southern District of New York and the US deputy attorney general in the administration of President George W. Bush. From prosecuting the Mafia and Martha Stewart to helping change the Bush administration's policies on torture and electronic surveillance, overseeing the Hillary Clinton email investigation as well as ties between the Trump campaign and Russia, Comey has been involved in some of the most consequential cases and policies of recent history. 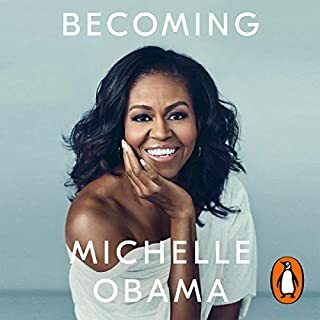 This book should be required reading for anyone interested in leadership, politics, ethics and the foundational values that underpin our society. The anecdotes are clear, astounding and interesting. 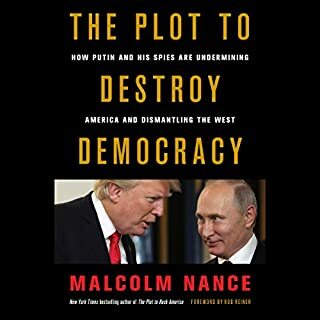 This book is a wonderful glimpse into the background dynamics of power in a highly topical setting. 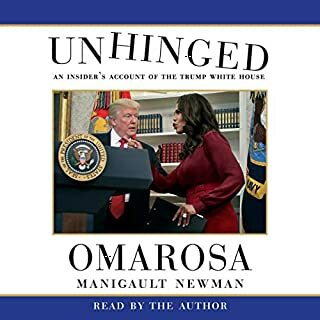 The author and narrator is personable, principled, candid and at times amusing with his asides. Truly excellent. I read this as something I felt that I "should" read rather than something I wanted to read, but I couldn't put it down. Surprisingly interesting and well written. James Comey is an inspiration to the American People because in the face of adversity he always strove to do the right thing personally and professionally. The book is one of the best books on leadership that I have ever read. The bar has been set quite high but nevertheless it is what we must all aim for. Very motivating and encouraging, makes you reflect and question many decisions made by me and others. Great insight into an honest man. 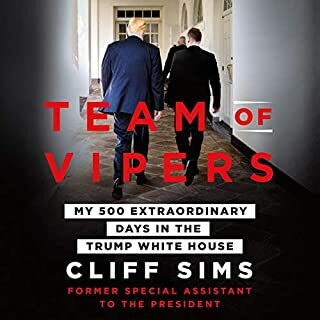 An honest and enlightening look at Mr Comeys’ life and insight to the FBI and the WH administration. 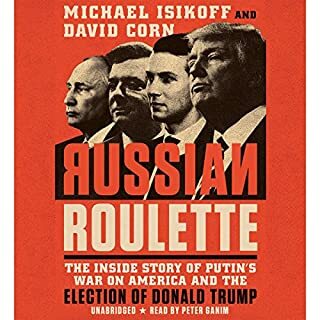 I personally do not doubt a single word in this book and it gives me hope that there are others out there in the FBI like Mr Comey. Well done and I have more respect for Mr Comey now than I did before. excelent. to read about such high morality and cmpession in times like ours was really moving. The truth will out. In the meantime we fear for the good people who, James Comey, will be caught up in a shameful mess. A woonderful insight into great leadership, an educational view into how high level government agencies interact. I half expected this to be a superficial largely self-serving account of Mr Comey’s time as FBI director but found it to be a remarkable document on ethical leadership in public service. There are in-depth accounts of events long past, most startlingly about the torture-memo time in the Bush era. It’s a deeply personal and, to my mind, very up-front account about a life lived according to a strong ethical stance and wanting to be of service. He acknowledges personal and professional flaws not in a mea-culpa style but to reflect on how errors and flaws relate to good and bad leadership. 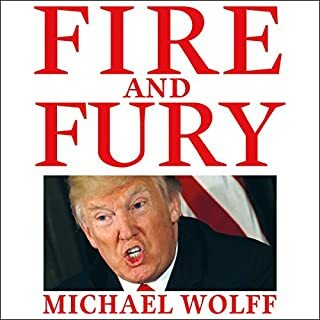 It is a searing and incredibly sharply drawn indictment of a president untethered from any ethical considerations, or sense of duty, and the danger this poses. Incredible achievement. I’m getting the Kindle version as well as a hard copy, just to be able to underline important passages. 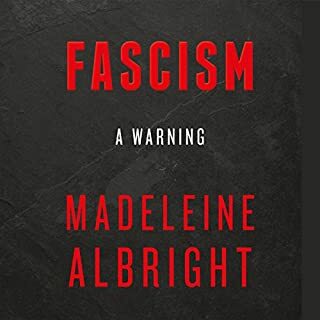 Weirdly, despite the alarming details of the current US administration, it somewhat restored my faith that maybe not everyone in power has ditched motions of truth and justice. Everyone (including non-Americans like me) should read this before casting their next vote. Everyone aspiring to political office would do well to consider the arguments for truth set out here - your style and focus may be different but the larger ideals are hard to argue with. Utterly compelling and incredibly well-written and delivered! I grew up on American cowboy movies, where a "man" did what he had to do, and the good guys always won in the end. Up to when Donald Trump became President of the USA, that was the majority view in the world of what the people of America value and stood for. But, the "bad guys" have taken over, America has lost its place as a moral leader. Good to see that there are still people who are prepared to put everything on the line and stand up for what they believe in. 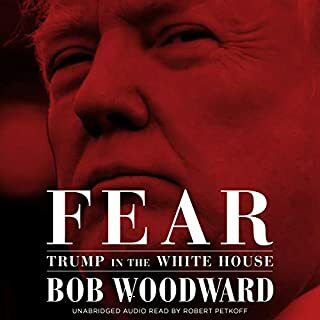 Listen to the message in this book Americans, drain the swamp before it is too late. 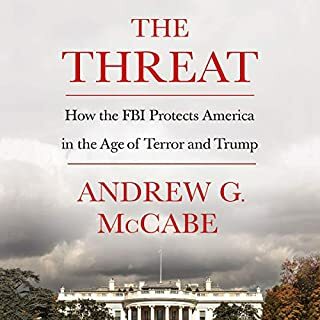 My first emotion on finishing this book was this: "When the 46th POTUS chooses incumbents, I hope Comey will accept his rightful place as leader of the FBI. " Like others, I was not too sure why Comey had announced that Hillary Clinton's emails were going to be investigated at a critical moment. 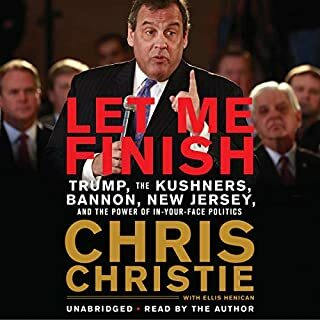 If you read this book you will understand that he had no better option and, more importantly, that the decision was not prompted by any political expediency. Comey emerges from this book as a hero. He does not pretend to be perfect and like a true leader accepts his flaws...in fact he gets quite raw about them. 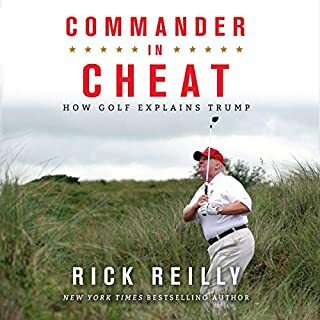 It is also at times very funny and I laughed out loud at his descriptions of Trump literally stalking him. Comey has a dry, intelligent humour. That he is a loving husband and father emerges from an unconscious sub-text. That makes it so human. TV commentators and other media have, of necessity, cherry- picked content. Don't think you have an understanding of Comey's position by relying on these snippets. You need to read the whole book. And it is worth it. A damning indictment of Trump without using words as bullets. Now that takes a special kind of man: an honorable FBI man. What did you love best about A Higher Loyalty? Before you feel the need to criticize this book, I urge you to read it first. All of it, not just the excerpts. The media sensationalizes what it covers in light of current events. First of all, there are eleven chapters before it evens get to Trump. Most of it is an autobiography revealing his reflections on leadership and values. Whetever you think of Comey right now, read it before you make your judgments about the man. Some of the best parts are about the Bush -- not the Trump -- administration. 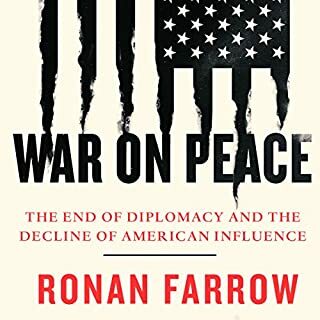 The insight into what goes on at the highest levels of the US government is fascinating. What does James Comey bring to the story that you wouldn’t experience if you just read the book? Hearing his voice speak in his own words assured me that the man is sincere and meant to do the right thing. Yes. Once started, it was difficult to put down. 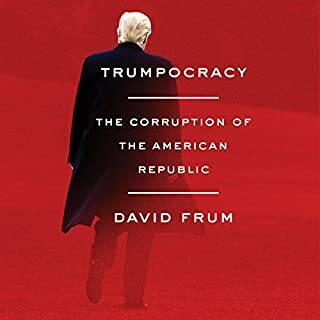 In this well-written, edited and creditably narrated account, Comey gives Trump wary (and weary) readers insight into his motivations and machinations contributing to the most traumatising political era the world has experienced since Nazi Germany. Most compelling, however, is Comey's commentary on the values, traits and competencies of ethical leadership and how, as perfectly illustrated in his own controversial actions as FBI Director - actions which I think I now better understand but still deeply regret, these ideals can and do exist in flawed individuals who must make tough choices in impossible circumstances. He also reminds us of the absolute peril of partisan tribalism and willingness to abandon integrity in pursuit of narrow self-interest and greed. Happy the book ends on a hopeful note. 5 Stars. Inspiring book, good life lessons to learn, and most importantly being "honest," which seems to be diminishing in today's society. Everyone should read this book, especially if you're in a leadership role. A well told narative highlighting what is wrong with American politics. Surprisingly good book. And very well narrated. Money well spent! As I had expected, the majority of this book is about ethical leadership in general, and not only about Comey’s relationship with Trump. While he seems to contradict himself at times (he argues against excessive surveillance in one instance, for example, while also claiming that Apple and Google are wrong in not allowing the FBI frequent access to their users’ data), the main message is about what constitutes good leadership qualities - and when it comes to that message, he is pretty straight-forward. Although I was initially skeptical about his decision to publicly announce the re-opening of the Clinton case, he actually makes a compelling argument for why he chose to do as he did. The decision does not, as many pundits claim, appear to be an example of poor judgement. Many people might have acted differently in his shoes, but his decision to announce the renewed investigation makes sense to me now. And I supported Hillary. 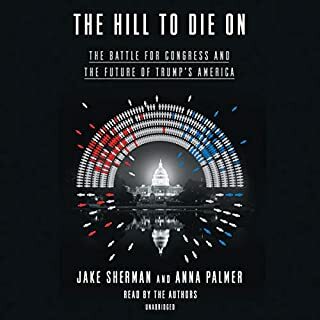 It ought to be noted that this is the kind of book you’d want to read (or listen to) now, as parts of the material may be seen as “outdated” in a year or two. 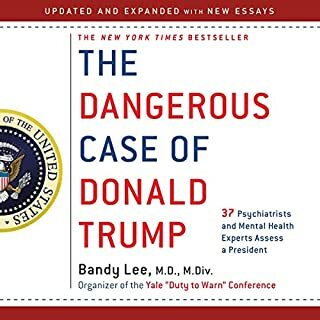 An amazing book that will stand for years after Trump is long gone. Comey’s leadership was incredible. 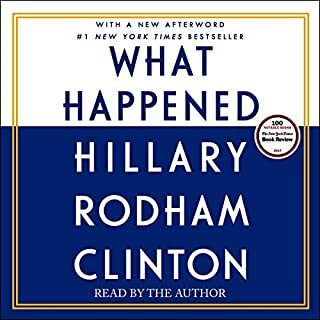 I bought the audio version of this book, as it was narrated by Mr Comey himself. It gave the words more meaning for me. What I learned was respect for the man who has integrity, intelligence, wit and compassion. Mr Comey clearly cared about his role as FBI director and cared about the people within it too. If you want honesty, read on! I have to admit that I bought this book mainly to hear Comey's view on his interactions with Trump, but this book is so much more than that. It's an enjoyable memoir, tracking Comey's life and fascinating career, it's thoughtfully written and well delivered. It's also an accessible text on ethical leadership, which offers valuable insights to leaders from all walks of life. 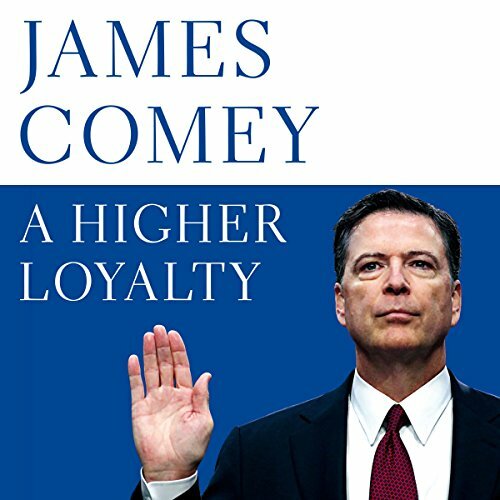 I didn't expect to like Comey after seeing news reports that the book was self serving and sanctimonious, but by the end of the book, I liked and respected him and I completely believed his account. He appears to be a family man of great integrity, who recognises his own faults and flaws and takes full responsibility for his actions. These are values that many of our current leaders do not have! I couldn't put this book down. I take my hat off to a man who has the courage to stand up for truth and integrity in the face of a tyrant. I believe Mr Comey should consider running for the presidency in the next election. If there is still an USA to govern. He tries his best to be impartial, but emphasises how difficult this can be. History will say how factual his book has been or not. The book was a fascinating summary of Comey's career, his views on the leadership styles he encountered, and his philosophy. 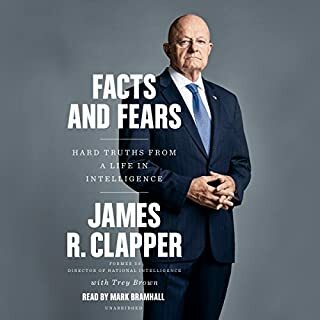 I started listening to this book to hear about Trump and was in fact taken by this mans entire career and ethos. A man trying and succeeding to live his life to higher principles than the people and politicians around him. The FBI have lost a great, inspirational leader! a compelling read, in the authors own words, of modern leadership. told with honest, truthfulness, honour and humility. Comey comes across as an honourable public servant persecuted for his loyalty to the system of government and standing for his views. Real insight into trumps character and also a look at the human side of James Comey. Trying to stay clean, when touched by garbage. A book that shows a man that is puritanical and dedicated to his nation, a man that follows the rules even when it is not convenient or very challenging; a man that believes in honour and duty. He wants us to know how he has lived his life and what his aspirations are, he wants us to understand that the president of the United States is a danger to his nation, a bully, that soils the country this man loves. For me, the most memorable story in the book is the loss of his son and also the most telling in his humanity. I did not agree with him when he reopened the investigation on Hilary Clinton, but he had real reasons that and no good options, sadly he derailed an election and was one of the victims of his action; hopefully, this idiocrasy will end soon, and no greater harm is produced.